New Podcast: We discuss the Pens changes, where things went wrong, and whether they can be fixed. And, unlike the Pens and their fans, we don't take everything so seriously. It's the GTOG Podcast. Listen to the podcast above or check out our Spreaker page. To download the podcast directly from iTunes, click here. Or you can download, listen, and subscribe via the Spreaker app on iTunes by clicking here, or on Android by clicking here. The GTOG Podcast returns as we catch up on the Pens' uneven start and the Steelers without Ben. Previewing the 2015-16 Penguins. Is this team really a contender? The annual tradition continues. 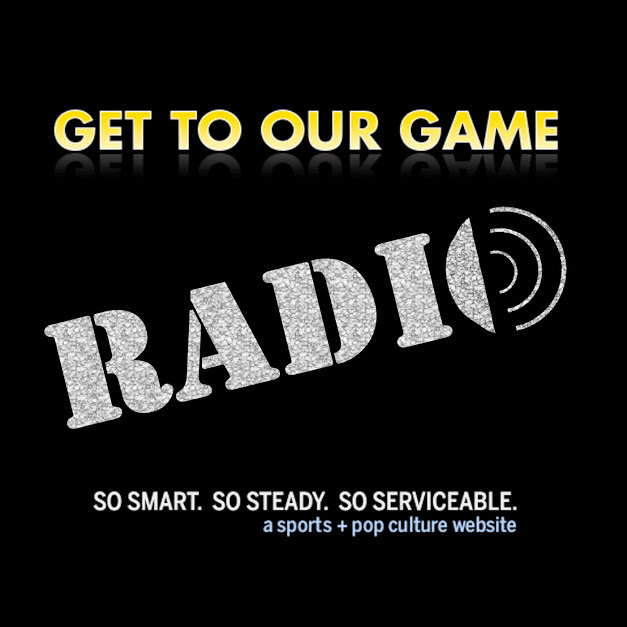 Listen below to find out in advance the score of every Steelers game this season. It's the GTOG Podcast. We take stock of the Pens' offseason moves with Mike Colligan. Sutter, Bonino, Fehr, Kessel, and more, plus we answer the question ... who is actually behind all of these seemingly shrewd moves? Is it really Jim Rutherford? It's the GTOG Podcast. The overtime gods smite the Pens again. We discuss the Pens' 2-1 loss in overtime to the Rangers in Game 4, and why this game left us feeling ... almost nothing. It's the GTOG Podcast. Tonight was truly one of the best podcasts you've ever done. None of the major points either of you made were anything less than 100 percent true. Part of the reason that it's hard to feel anything about these losses is that it's hard to point the finger at anyone. You can't quibble with the effort. It's not like our guys have been out to lunch or made tons of mistakes(I know we're all unfairly pointing the finger at Martin tonight, but come on.....that's a goal scramble where everyone's whacking at it, and let's face it-he was probably out of gas after playing 30 damn minutes a night, and he doesn't make many mistakes anyway). We haven't lost our cool. Fleury's played great. None of the previous problems we've had the last five years have occurred. We're losing on bad bounces.....Billiards, as you aptly called it. We've had exactly one bad play the last two games....that bad line change on Haeglin's breakaway. Three of the Rangers' four goals were billiards scrambles. Here's the difference between the two teams, and why the Rags are successful in today's NHL. They are all of the things that you need in today's NHL Playoffs. They are young, they are fast, and they are tenacious. They are NOT particularly skilled outside of Nash, St. Louis, and maybe Brassard. Their forwards all back-check like crazy, because they are young and fast. They stay up on you and attack you and hit you, smothering you until you make a mistake. When you make said mistake, their tenacity and speed enable them to win board battles and 50/50 pucks, and because they never give up on a play, they keep whacking away at it until it goes in. Is this effective in today's NHL? Of course it is. Is it appealing to watch? That's not even a question. I will say that tonight, if we could have gotten that second goal somehow, we would have maybe had a chance to open it up. I could see, though, halfway through the second, that the Rags had gotten their feet back, and that we were probably going to have to win 1-0, or 2-0 with an empty netter. I knew what was going to happen once they tied it. The other interesting thing is, Mike Johnston and Jim Rutherford are probably right in that the Pens were playing the right way. They are, as it pertains to the playoffs. They are putting in the work, the effort, and the, "grit," they were supposedly missing. It's just that the Rangers do it slightly better with younger, faster personnel. The whole thing makes me sad, and I felt the same way as you. I would have been sort of happy had they won, but would still be lamenting the state of playoff hockey. I was born in 1980. We moved to eastern OH in 1986 and immediately started going to Pens games. The hockey I grew up watching from that point until my teen years was a pleasure. I got to watch the greatest hockey player ever in his prime, live and on TV. I got to watch other HOFers live and on TV, too, playing a great brand of hockey that I fell in love with. Even after the lockout, I knew we were never going back to that, but things for about 4 or 5 years were different. I loved watching 87 and 71 dominate, and even other guys on other teams.....I hate Ovechkin, but that Caps series was something else. Stars played like stars on both sides. You were right about that series on the podcast, too. It just makes me sad. So, anyway, keep up the outstanding work, boys(Come on, I had to throw a, 'boys,' phrase in there!). BTW, if you didn't see my tweet at you, even Brooksie of the Post hates watching this series. When the winning team's media is slamming the very brand of hockey that their team is perpetuating, you know it's bad.